"A tour-de-force collaboration of two of Angelou's major passions--writing and cooking . . . She also shares the poignant, pithy and sometimes hilarious memories that accompany each dish." 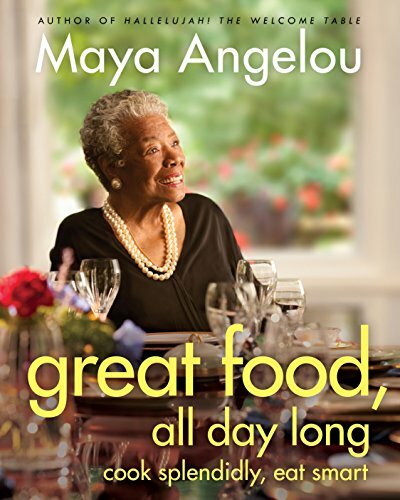 "Poet and literary legend Maya Angelou is as mighty with her spoon and spatula as she is with her world-renowned pen." "Serious comfort food . . . The poet's life [is] laid out like a colorful banquet. . . . Meals serve as metaphors for life experience." "The life of the poet-autobiographer . . . comes even more alive through plumes of aromas, a palette of flavors and a recipe box of memories." "Each recipe is thoughtfully conceived and made even more enticing by the personal history attached to it. . . . The result is as divine as the woman herself, full of flavor, passion and hard work." "[Readers] will find not only a wealth of dishes . . . but a close-up, personal glimpse of a compelling writer and her family." "Written in the exuberant tone of an impromptu dinner gathering."